Investing in real estate makes sense again. Purchasing a property is for many the largest investment they will ever make. Nowadays with an acceptable credit score you can purchase a home, townhome or condo with a relatively low interest rate compared back in the 1980’s, when interest rates were just under 20%. Now is the right time to invest in order to secure your future for the long term. Many investors (especially first timers) are waiting until they have saved a huge down payment. However time value is of the essence. While you are waiting property prices are climbing. As an investor you understand that income property will give you long term passive income and leverage with the highest returns. Great News! If you do not have the adequate funds, you don’t have to wait. You can invest in a Real Estate Syndication. The main reason investors participate in real estate syndications is the access to larger properties, higher cash flow and to leverage the experience of the syndicator, who carefully finds the gem to acquire, negotiates the terms and conditions for you and also helps with the property management and rehabbing. 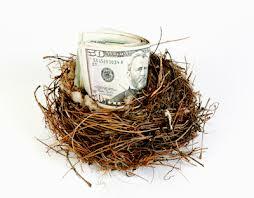 Please feel free to schedule a complimentary consultation, and we will walk you step by step on how you can grow your nest egg. As a team with 38 years of experience and purchases of over $60,000,000.00, you can rest assure you are in good hands. We also encourage international investors to talk to us. We can refer you to experienced immigration attorneys to make sure all your investments will work within legalities.